The James Taylor gala event benefiting Carnegie Hall's artistic and education programs is chaired by Clarissa and Edgar Bronfman, Jr. Honorary chair for the gala is Caroline Kennedy. Honorary Artist Committee members for the evening include Carnegie Hall trustees Emanuel Ax, Yo-Yo Ma, and Audra McDonald, as well as Calista Flockhart, Harrison Ford, Jay-Z, Kelly Preston, Tavis Smiley, Regina Spektor, and John Travolta. Additional gala leaders include: Vice-Chairs Emily Blavatnik, Tory Burch, Lyor Cohen, David Foster, Leslie and Tom Maheras, Aviv Nevo, and Anonymous. Bank of America is the James Taylor Gala Corporate Sponsor and Proud Season Sponsor of Carnegie Hall. 212-903-9679. A limited number of premium tickets, priced at $200, $300, and $500, will be available only at the Carnegie Hall Box Office (57th Street and Seventh Avenue) or by calling CarnegieCharge at 212-247-7800, beginning this Friday, January 7. Both Gala Benefit and premium tickets include a tax-deductible donation to Carnegie Hall. April 12, a program titled James Taylor: Roots on Wednesday, April 20 in Stern Auditorium/Perelman Stage explores Taylor's early musical influences, including bluegrass, blues, Celtic music, and Church of England hymns. On Friday May 6 in Zankel Hall, Taylor offers an evening devoted to popular music's instrument of choice with James Taylor: Guitar Conversations, delving into the versatility of the guitar, performing alongside all-stars of the genre. His Perspectives series concludes on Monday, May 9 when he is joined in Stern Auditorium/Perelman Stage by his legendary band for Quintessential James Taylor and His Band, a performance of his greatest hits. Shortly after James Taylor's 1970 Carnegie Hall debut at age 22, Time magazine observed that his artistry reached 'a level both of intimacy and 'controlled emotion rarely achieved in purely pop music. The connection hemade to listeners was indelible, and his hits "Fire and Rain," "Sweet Baby James," "Carolina In My Mind," to name just a few became a soundtrack to the American experience. Over the course of his long career, Taylor has earned 40 gold, platinum, and multi-platinum awards; five Grammy Awards; and the 1998 Century Award, Billboard magazine's highest accolade. He has been inducted into both the Rock 'n' Roll Hall of Fame and the prestigious Songwriters Hall of Fame, and has sold some 40 million albums. Taylor's warm baritone is among the most recognized voices in popular music and his guitar playing has established its own standard. His music embodies the art of songwriting in its most fundamental form, with his songs having had a profound influence on both songwriters and music lovers of all generations and from all walks of life. As a recording and touring artist, he has set a high bar to which countless musicians continue to aspire. James Taylor celebrates 120 years of Carnegie Hall's history with special guests Barbara Cook, Steve Martin, Bette Midler, Sting, members of the Tanglewood Festival Chorus, and more. This special event benefits Carnegie Hall's artistic and education programs. Bank of America is the James Taylor Gala Corporate Sponsor and Proud Season Sponsor of Carnegie Hall. 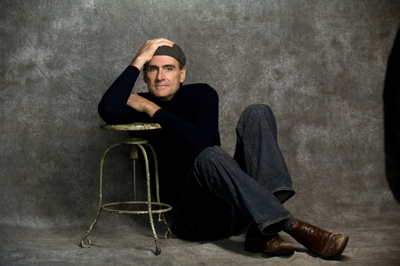 This event is part of Perspectives: James Taylor at Carnegie Hall. James Taylor's Perspectives series is made possible, in part, by The Blanche and Irving Laurie Foundation. Tickets for the Gala Benefit on April 12, priced at $2,500 and $5,000 include premier concert seating and after-party dinner at The Museum of Modern Art. Tickets priced at $1,000 include the concert and a pre-concert cocktail reception at 6:00 PM in Carnegie Hall's Rohatyn Room. All gala benefit tickets are available online at carnegiehall.org/jamestaylorgala or by calling the Carnegie Hall Gala office at 212-903-9679. A limited number of premium tickets for April 12, priced at $200, $300 and $500, will be available only at the Carnegie Hall Box Office (57th Street and Seventh Avenue) or by calling CarnegieCharge at 212-247-7800, beginning on January 7. Both Gala benefit and premium tickets include a tax-deductible donation to Carnegie Hall. There is limited ticket availability for James Taylor's additional Perspectives concerts: James Taylor: Roots on April 20 (tickets: $24-150); James Taylor: Guitar Conversations on May 6 (tickets: $64-80) and Quintessential James Taylor and his Band on May 9 (tickets: $24-150). Members of the public should call CarnegieCharge at 212-247-7800 for ticket availability information.